[S176] 'Brothers' 1836, online http://www.mania.com.au/~robync/ships.htm, page: 7. 1838 John Fuller was a passenger aboard The Ship Royal George which sailed from London, EnglandG, in 1838 carrying immigrants to Sydney, where it arrived on 10 March 1839. 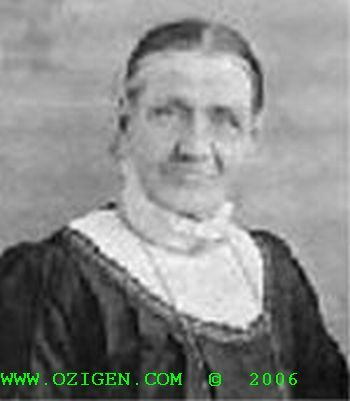 Death 26 January 1885 Benjamin Fuller died on Monday, 26 January 1885 at Gundagai, NSW, AustraliaG, at age 46. 1838 Benjamin Fuller was a passenger aboard The Ship Royal George which sailed from London, EnglandG, in 1838 carrying immigrants to Sydney, where it arrived on 10 March 1839. [S698] Sandra Tongeman, "The Early Crew Family," e-mail to Robert Mote, July 2006. [S177] Jones Barton, "Crew Family," e-mail to Robert Mote, 26 August 2000. Article During 1871, James & Eliza emigrated to Canada with Eliza's sister Rachel & Richard PENNELL. They sailed on 11th of May on S.S. Niger arriving at Quebec City, Montreal on the 29th of May. They, along with the PENNELLs, boarded a train to Sand Point, only to find there was no work there. They (and the PENNELLs) finally settled in Carlton Place, Ontario, where they built a log cabin large enough for two families and divided it, living as such until they could get better lodging. Carlton Place was very remote then and was mostly lumbering. The Pennell's and the Hone's tried to establish a brick yard, but lumber, being so available, was the main source of building material. There was no demand for brick. The two families decided to take up farming, first in Horton Township, which turned out to be unsuccessful. The PENNELLs took up a land Grant in North Ontario. [S238] Ross Buchanan, "Elizabeth Mary Crew," e-mail to Robert Mote, 20 March 2001. 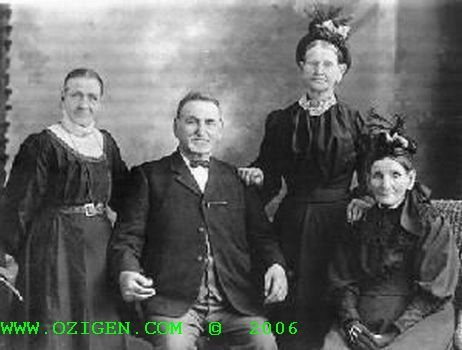 [S339] A Crew Family in Canada, online http://MyFamily.com, MyFamily.com The Crew-Pennell Genealogy Group. [S432] FreeBMD, online http://freebmd.rootsweb.com, Marriage 1857 Q1 Greenwich 1d 658. He was the son of Richard Pennell and Frances Pittigrew. Nickname William Richard Pennell was often called Richard. [S229] Ross Buchanan, "The Family of Charles Pennell & Susan Crew," e-mail to Robert Mote, 14 March 2001. Birth 1831 Charles Pennell was born in 1831 at North Fleet, Kent, EnglandG. [S691] Ted & Ronda Collins, "Crew Family Research," e-mail to Robert Mote, October 2007, NSW Marriage Certificate 1858/001874 for David Shunner and Jane Crew. [S691] Ted & Ronda Collins, "Crew Family Research," e-mail to Robert Mote, October 2007, Marriage Certificate 1858/001874 for David Shunner and Jane Crew. [S691] Ted & Ronda Collins, "Crew Family Research," e-mail to Robert Mote, October 2007. End-Line Herbert Bishop has no known descendants. [S216] Jessie C I'Anson, The I'Anson Family, page: 10. End-Line Charles Henry Crew has no known descendants. End-Line George Matthew Crew has no known descendants.